5 Historic Buffalo Venues – for One Unforgettable Wedding! Maybe you love architecture and Buffalo history; maybe you just want an unusual/out-of-the-ordinary location for your wedding. Either way – here are 5 locations within the Buffalo and Western New York area that just may be the perfect location you are looking for to dazzle your guests beyond the typical church aisle and a ballroom at the Marriott. The great performances went silent and the building sat abandoned from the mid 1970’s until the 2001 restoration which brought this Buffalo historic gem back to life. 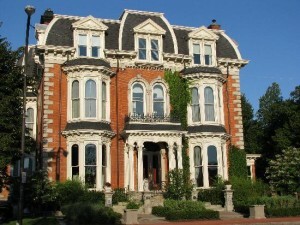 The gorgeous restored Mansion can host wedding parties of up to 250 and can accommodate over-night guests in the 28 available suites. In the quiet surrounding area of Lockport, New York in the town of Newfane, the Van Horn Mansion (really more of a large stately home), has been a part of local lore for over 200 years and is steeped in history of the multi-generational tale of a true Western New York pioneer family; the Van Horns. The building was the first brick building in the area – built with bricks that were made on the site and the original structure was finished in 1823. Extensive research into the property and its family has been beautifully and thoroughly completed and can be reviewed on their website. (There are even some tantalizing ghost stories!) 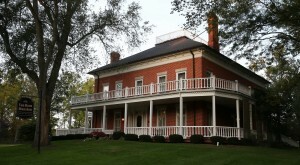 The home is lovingly restored and open to the public for tours and events. It does not operate as a hotel and there are no suites on site. However, it makes for a beautiful choice for an intimate wedding ceremony. Small receptions can be hosted inside, or on the grounds for larger parties and has a kitchen for catering purposes. Built in 1939, Kleinhans Music Hall is designated as a National Historic Landmark with an international reputation as one of the finest concert halls. 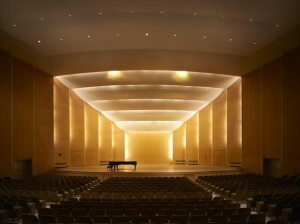 Kleinhans is considered one of the “most acoustically perfect halls” in the world, and guess what? You can get married here! There are three notable rooms within Kleinhans: the Main Auditorium, Livingston Hall (named in memory of Mary Livingston, mother of Mr. Kleinhans), and the Mary Seaton Room (a memorial to Mr. Kleinhans’ wife, Mary Seaton Kleinhans). In 1989, the hall was designated a National Historic Landmark, the highest designation of significance a site or structure can receive. For a wedding with real class and one your guests won’t soon forget, visit Klienhans’ website for contact information. 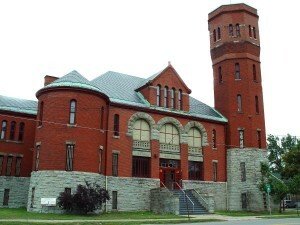 Not really a castle at all – but a historic National Guard Armory, The now named Tonawanda Castle boasts beautiful woodwork, thousands of square feet of hardwood floors, chandeliers and luxurious fireplaces – not to mention a drill and mess hall, shooting range and swimming pool. The castle’s spacious parlor room was once lit by ornate handcrafted chandeliers imported from France; some of which still remain. It was inaugurated in 1897 at a cost of $86,000 – or 6 million dollars today. In 2003, the ill-used and outdated Armory hit the auction block and was privately purchased for $71,000. Extensive renovations have been completed and the venue can accommodate large weddings and receptions in the main drill hall. Ok, it’s actually a newer structure, but by a very cool historic designer. An interesting design for a row club boat house was left behind by the legendary architect Frank Lloyd Wright. Plans were drawn in 1905 for a row house to be built in Wisconsin, but was not seen to completion. The idea was revisited in 1939 but later abandoned again. For the total of nearly a century the design collected dust. That is, until an avid rower, Ted Marks, brought back to life the plans that were shelved long after Wisconsin had lost interest. The plans were purchased for a small fee, and construction began on the 5.5 million dollar project. 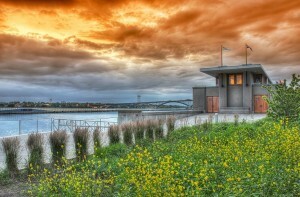 In 2007, the Frank Lloyd Wright Fontane Boathouse was completed and brought to life. The result is a funky throwback to the realm of FLW and his ingenious flair for form, function and those iconic graceful lines. The space can accommodate 50 – 100 guests and has a reception area. magnificent submit, very informative. I’m wondering why the other experts of this sector do not understand this. smartly-appreciated than you might be now. You’re very intelligent. something. I think that you can do with a few % to power the message home a bit, but other than that, that is excellent blog. I simply couldn’t depart your site before suggesting that I extremely loved the usual info a person supply on your visitors? to work on. You’ve done an impressive job and our entire neighborhood will likely be grateful to you. I was just looking for this information for a while. After 6 hours of continuous Googleing, finally I got it in your web site. I wonder what is the lack of Google strategy that do not rank this kind of informative websites in top of the list. Normally the top websites are full of garbage. I had been wondering if your web hosting is OK? Not that I am complaining, but slow loading instances times will sometimes affect your placement in google and can damage your quality score if advertising and marketing with Adwords. Hello! I’ve been reading your blog for some time now and finally got the bravery to go ahead and give you a shout out from New Caney Texas! Just wanted to mention keep up the fantastic job! I got this web page from my friend who told me concerning this web page and now this time I am browsing this web page and reading very informative posts here. Hi Dear, are you genuinely visiting this site regularly, if so afterward you will without doubt obtain nice knowledge. viagra und herzmedikamente http://viagrabs.com/ buy viagra. get a rx for sildenafil. I may just I wish to counsel you some interesting issues or tips.